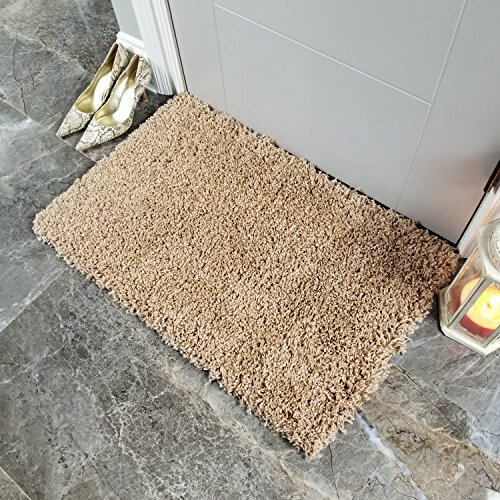 The ultimate in style and elegance, the rugs of the Bella Collection offer a soft and plushy 1.20inch/30mm deep pile, which is the perfect, modern accent to your living space. Allow your feet to indulge in the rich feels of its shaggy texture as it provides coziness and class to any room. The sturdy jute backing and a high-density pile ensure durability and longevity. Fashion-forward shag brings comfort and flair to your space, playing off of other trendy home goods. Maxy Home`s other collections have variety of sizes and styles in area rugs, rugs runners and doormats for the living rooms, bedrooms, kitchens, hallways, entryways, teen rooms, guest rooms, kids and nursery rooms. If you have any questions about this product by Maxy Home, contact us by completing and submitting the form below. If you are looking for a specif part number, please include it with your message.